WKWW Architects designs Fellowship facilities which can comfortably accommodate small gatherings or large functions. 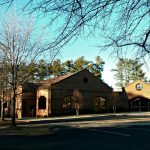 Activities within these spaces include dining, plays, performances, wedding receptions, community events, and various worship services. 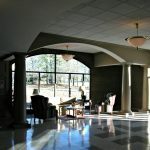 These Fellowship facilities are often supported by full commercial kitchens for meals. Stage areas are often equipped with theatrical lighting, audio visual equipment and dressing rooms. 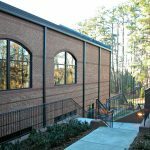 Fellowship facility designs are often true multipurpose spaces which also allow for athletic activities including full court basketball and volleyball. 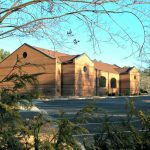 The St. Luke the Evangelist Catholic Church Pastoral Life Center enhances the existing campus while occupying a minimal area of the site since it is located in a protected watershed. 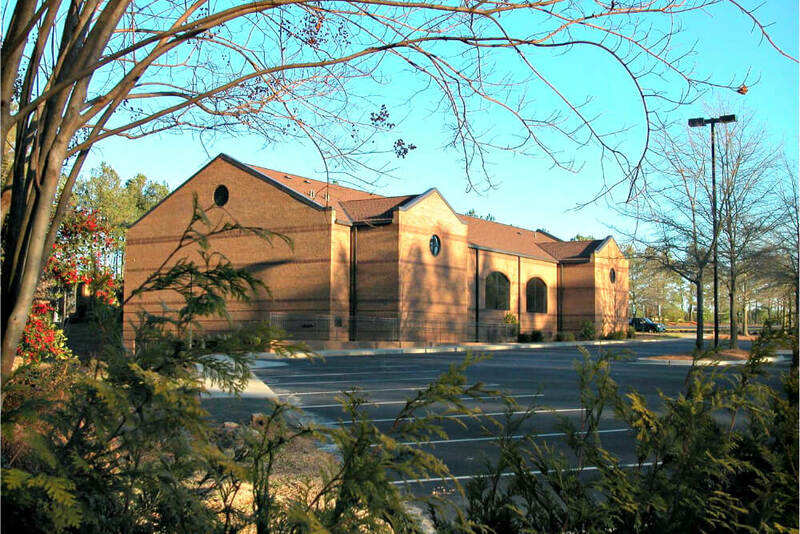 This multipurpose building, with a commercially equipped kitchen, provides dining space for approximately 300 parishioners. 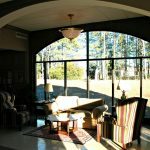 The room is beautifully finished with special lighting, arched windows, applied moldings and a coffered ceiling. 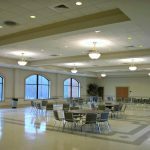 This Dining/Fellowship space is located at the same level as the renovated Worship space. These two buildings are served by a new, common Gathering Area, with classic columns, arches and a barrel-vaulted ceiling, which enhances access to various ceremony receptions and worship. The parish offices are also located adjacent to this common gathering entryway. The entire lower level is a dedicated education space with multiple classrooms.